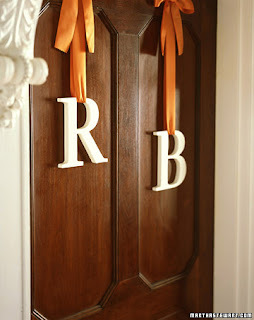 Another twist on using your monogram at your wedding. We have all seen the floral wreath letters on the church doors but how about something more simple. Letters like this can be found at any craft store for under $10. Use them on the church doors then have someone move them to the reception doors. Carry the simplicity of the letters over to your program, menu cards and light design on the dance floor. Its all about carrying the theme throughout your event.